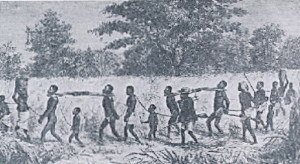 In America, slavery was very much a part of our society. In 1820 the Congress of the United States passed legislation known as the “Missouri Compromise” where the state of Missouri was admitted as a slave state and the state of Maine was admitted as a free state. 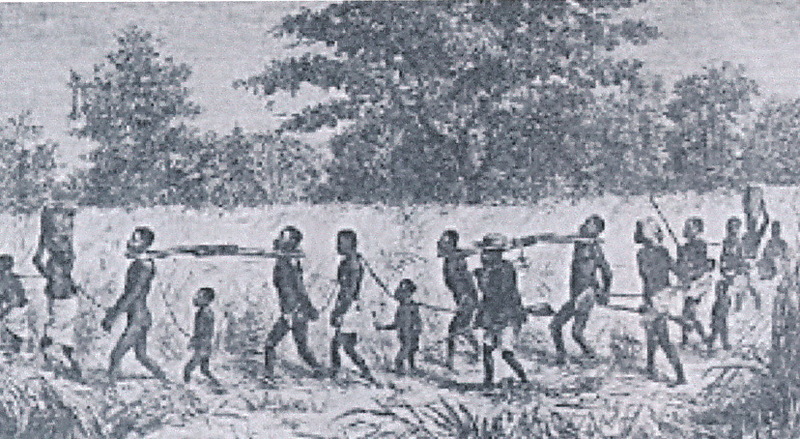 That same year 18,951 black slaves left Luanda, Angola bound for the United States of America. In 1821 Napoleon Bonaparte died in exile on the island of St. Helena. 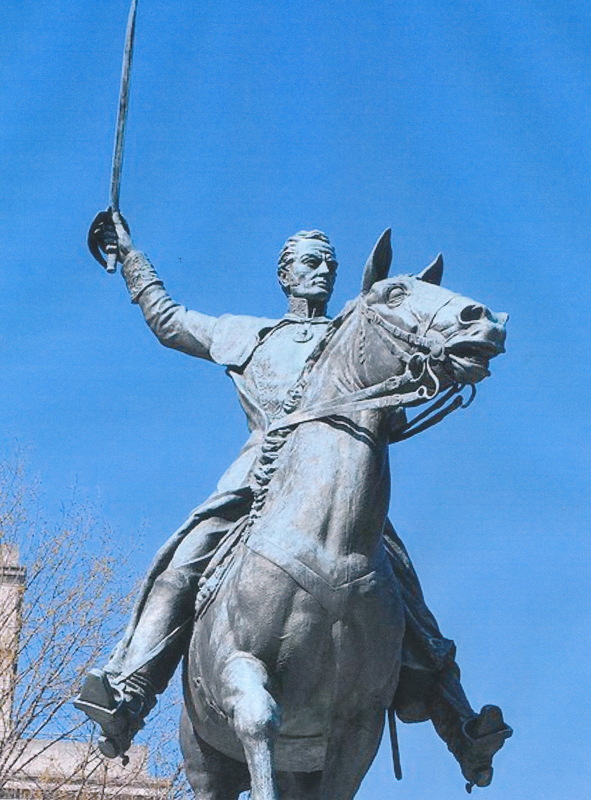 Simone Bolivar was conquering much of Latin America. 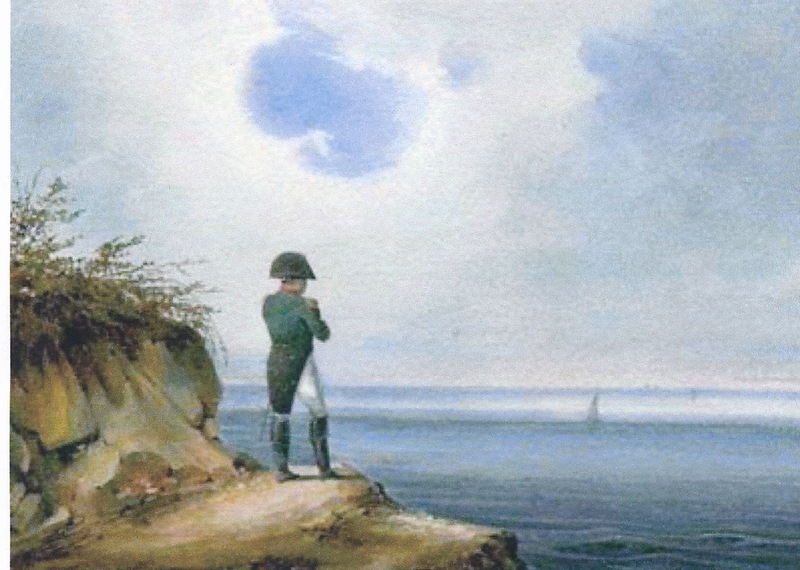 In 1824 he was declared dictator of Peru. 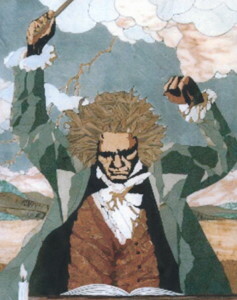 On May 7, 1824 Ludwig Beethoven introduced his Ninth Symphony at the Theater am Karntnertor in Vienna. He was totally deaf. During these five years, 1819 – 1824, four of our ancestors were born; two in Pennsylvania and two in New York. I have no photographs of their youth, as photography was not yet used during those years. In fact I know little about any of them as young people. 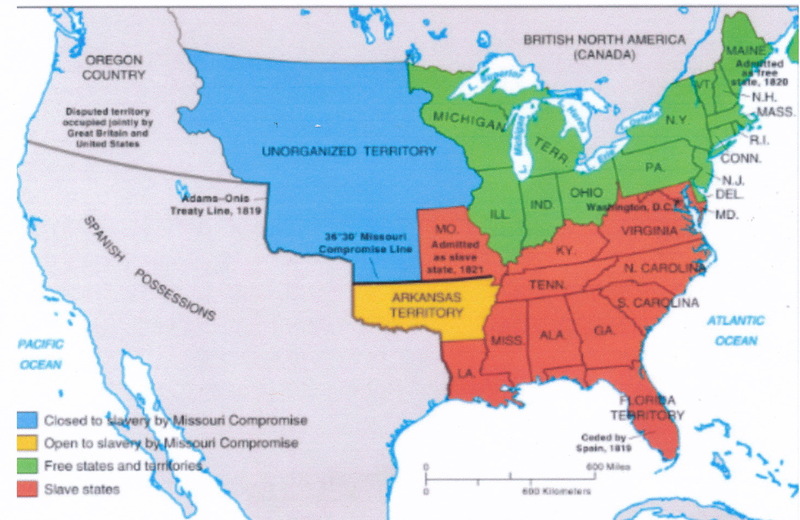 What I do know is that all four travelled to Michigan during the middle of the 1800’s. They all died in Michigan. 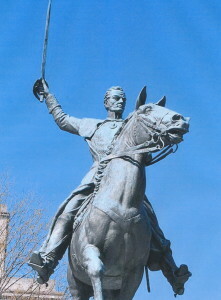 Stacy Webb Thompson (Dec. 19, 1819 – Nov. 10, 1896) was born on a farm in central Pennsylvania. His parents were Isaac Thompson and Kesiah Webb Thompson. It is noted that both the Thompson’s and the Webb’s came to Pennsylvania from New Jersey, however, thus far I have nothing to corroborate that, other than it being mentioned in Stacy Webb’s obituary. Elizabeth Bloom Thompson (Stanley) (Sept. 26, 1824 – Aug. 26, 1904) was born on a farm near the Thompson’s. Elizabeth’s parents were James Bloom and Mary Passmore, both from Pennsylvania. James Bloom came from a long line of Blooms, well known in Clearfield County, Pennsylvania. The Bloom’s trace their ancestry to Germany. 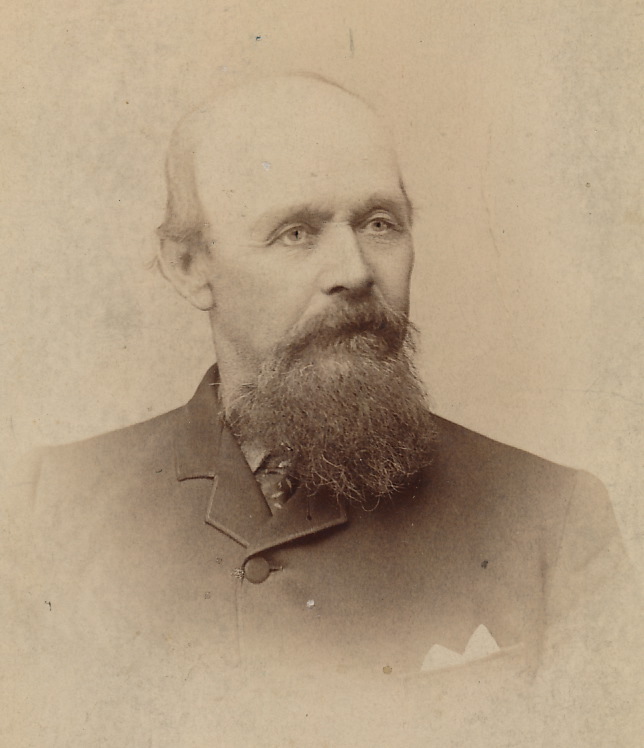 Walter Goodenow (May 20, 1822 – Nov. 26, 1892) was born in Oneida, New York. We know a lot about the Goodenow’s as they are among the earliest immigrants to America. They arrived in 1638 on the ship Confidence and settled in Sudbury, Massachusetts. Walter was the fifth child of Edmond Goodenow and Mary James Goodenow. 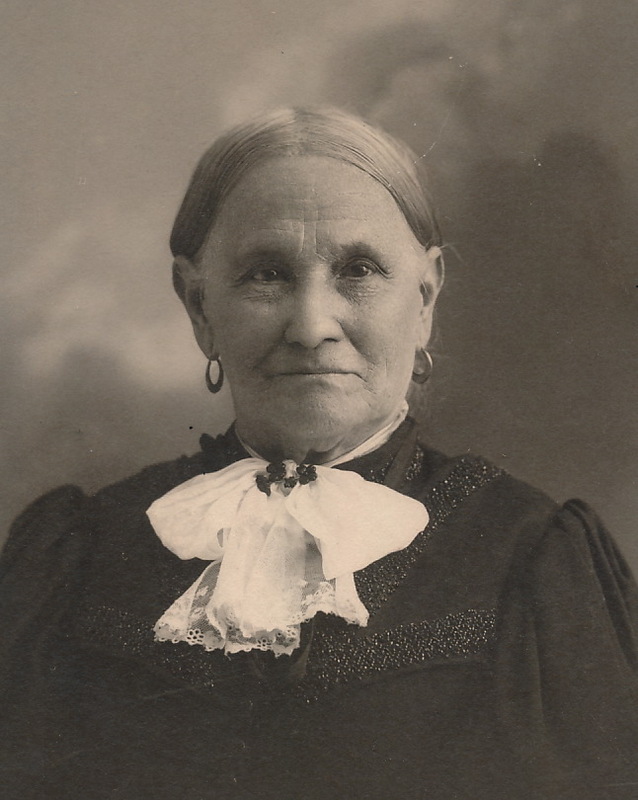 Margaret McGrath Goodenow (March 4, 1819 – June 29, 1888) remains a mystery to me insofar as her ancestry is concerned. I know neither the name of her father nor her mother. Let’s start with the Thompson’s. 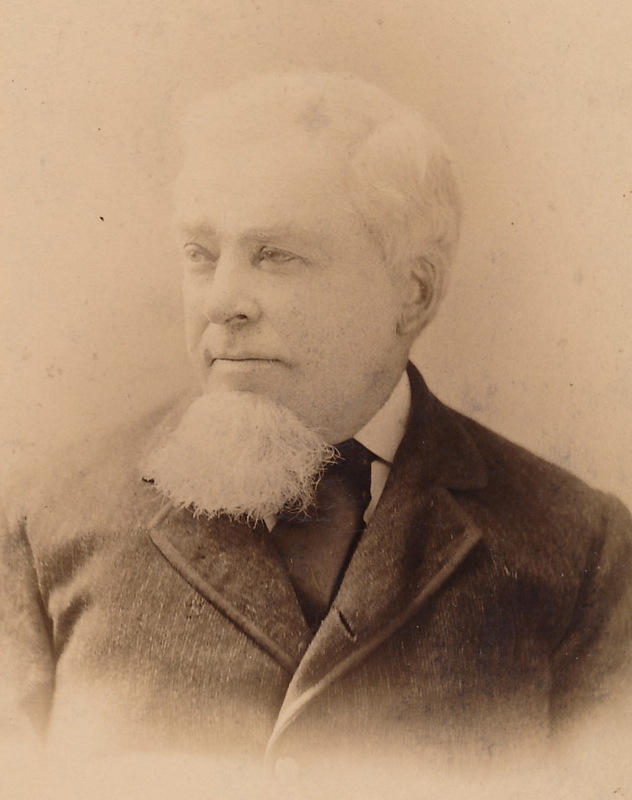 I know from family lore that Stacy W. Thompson travelled to Michigan just after the Civil War with two of his son’s, one of them being my great grandfather, Stacy Clay Thompson, arriving in Southern Michigan in 1869. Within a few years, all of the Thompson sons would be residing in Michigan, and soon thereafter Elizabeth, Stacy’s wife and his only daughter, Lilly May, would come to Michigan to live. Unfortunately, the marriage between Stacy and Elizabeth would not survive the westward journey. 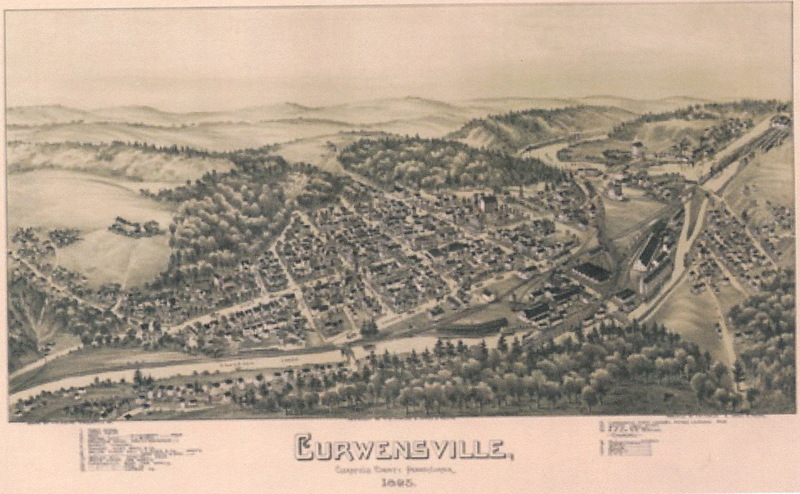 Early map of Curwinsville, Pa.
Often the stories concerning the family center around those who leave. The adventure of moving takes precedence over those who were left behind. Recently, however, I came across a few letters which Elizabeth wrote to her sons and husband after they had left the family home in Curwinsville, Pennsylvania. I also have one that Mark Anthony Thompson wrote to his mother back home. These letters are saved through the fine genealogical research of my cousin, Claudia Breland of Seattle, Washington. Claudia is a professional genealogist and can be reached through her blog: ccbreland.com. Below I have transcribed two of these letters, have cleaned up the spelling and grammar a bit, and have added comments to clear up some of the content which might not come through to the reader. 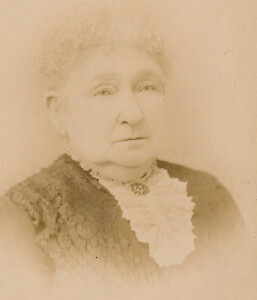 Elizabeth Thompson didn’t look like the picture posted above when she wrote the following letter to her sons and husband in 1869. She would have been 45. Here she is writing to two of her sons and her husband who have just left the farm in Curwinsville, Pa to travel westward to Michigan. I was told that they walked to Michigan from Pennsylvania, however in reading these letters it becomes clear that they travelled on the train for at least some of the journey. I take this lonesome and dreary day to write to you. It has rained every day since you left which all adds up to misery. Winfield (one of her sons) has got two letters since you left. He answered one of them right away. I was glad when Win(field) got the first letter. I had never rested nor slept from the time you started until I heard from you yesterday. Win got another answer that helped me some more, for I see that Mark (another son) was picking cherries, which I never expected to see. Well, I feel some better, but am not satisfied yet. I am sore lonesome. I don’t know how I can put the summer past. Well, I suppose I can work and cry another summer past, but I have made up my mind not to spend another summer this way. Perhaps it will be worse, but I will try for the better if I am spared to see another summer. All I lived for was my children and I must now live separated from them. I can never live this way. I must have them all together or I can’t live so far apart. Dear Mark, you have caused me to shed tears every day since you left. I sent to the office on Monday and got no letter until yesterday. Win went down himself and they gave him a letter which they had overlooked. Now the creek is too high to run. Win went away this morning and has not returned yet. John (a son) and Eddy (another son, Edwin) ate dinner and went to Clearfield ( a larger town near Curwinsville) to see the Indian Show. I think Win has gone too with someone out of the Creek. Lilly May ( a daughter) and I are all alone this afternoon. This is John’s birthday and he wanted to go someplace. They don’t know I am writing to you. I was very glad to see Mark’s handwriting. I almost kissed it. I was so glad I cried with gladness and sorrow both. Dear Mark, tell me if your heart beats as it did, do you lay down or sit up when you sleep? (Mark suffered from asthma and often had to sleep in an upright position.) I wanted to know that night after you left when I went upstairs and looked at your chair and you were gone. I fell down on my knees before your chair and prayed for you all. I hope and pray you will get well and I will see you and your society. Yet in this unfriendly world, dear children, be good and kind to one another and keep out of danger. Lilly May says she would like to see Mark. She feels lonesome. I pity her many a time. She cries often about you both. She is sitting beside me crying. She says she wants all of you to come home. Do you think Byron (another brother) will come this summer to see us and pass the lonesome summer? I suppose he has forgotten his mother. Well he may forget me, but I will never forget my children. I am not as well as when you were here, my children. My health is failing fast. I cannot tell what is the matter yet. I have no appetite, nor have much to eat. I have never seen fresh meat this summer but one piece of veal. Do you get fresh meat? Mark, how do you like your living without your poor mother? Well, I did all for you I could. I have nothing to regret. Only letting your Pap take you away from me. If I could have it to do over again, I would keep you with me. Harry Faust has been here two or three times asking about Mark. I told him Mark was getting well. He said he wished he was with him. He wants Mark to come home again. The peaches are ripe. The trees are breaking down from having so many peaches. Well Win wrote to you about the things we have. I don’t wish to complain for I suppose you did what is best. I made John a pair of pants. He liked them very well because they have stripes down the side. The stocking yarn is very fine for boys. Tedious to knit. I would rather have had flannel but we won’t complain. I hope the next time you send some tokens it will be meat…something to eat. The following is a letter from Mark to his mother, Elizabeth and his brothers and sister: Edwin, John and Lilly May. We arrived here safe yesterday morning. We wrote you a letter from Pittsburg Tuesday. We started there that day at 11 o’clock AM and expected to get here that night but we stopped at Belleair 95 miles west of Pittsburg. That train did not come any further that night so we stayed there until 8 and then came here fifty miles in an hour and three quarters. I feel first rate since I came here. I was at a mill that makes shingles. This is a large town. I have not been all over it yet. The Preacher came to see me at the mill today. He wants me to come to his Sunday School. Clay and me are going for cherries today. This morning, the 25th, I got too sleepy last night to finish the letter. Clay, Pap and I are boarding at the Washington Hotel. No more for present. My love to all, Write soon and tell me all the news. I will conclude today’s blog on a sad note. Mark Anthony had to return to Curwinsville, where he died. In the next blog entry I will talk about the Goodenow’s. Hello David, delightful to find this account and pic of Elizabeth. As a mother, I can certainly relate to her feelings! She is the sister of Lewis Iddings Bloom, (a veterinary surgeon) who was my great great great grandfather, also from Curwensville, PA.